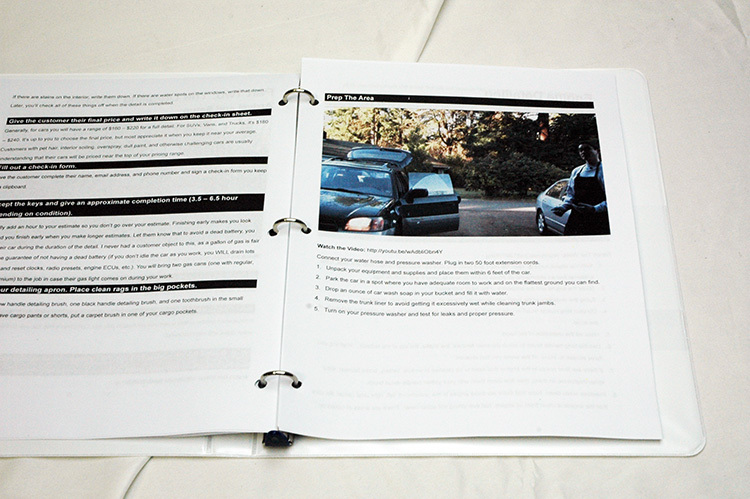 Get the tools and study-at-home training to earn $100s daily as a car detailer, guaranteed. 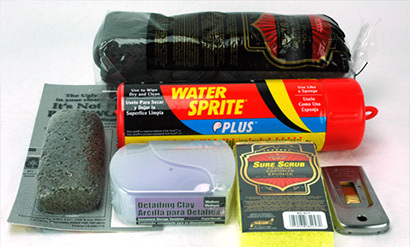 Here's an easy way to start a profitable and fun car detail business. Get the essential products you need to produce professional results and a copy of the Internet's best-selling study-at-home auto detailing course. If you don't know what to buy or where to start, it's all here in this tidy, affordable package! In addition to written instructions, you get 150 minutes of video demonstrations. Watch them at home or review them on a mobile device whenever, wherever you want. Learn sales, marketing, and technical tips from this well-organized book featuring color photos. After 11 years still learning. I run a car detailing business on the Gold Coast of Australia. Even with over 11 years of experience, I found quite a few useful tips in your course that I added to my work process. Thanks Bob. Your equipment and supplies work exactly as advertised. I know I've got a solution anything a customer brings to me. Pro Car Mobile Detailing. Bergen, NJ. How much is shipping and how long until my order arrives? $60 – $200 via Fedex Ground, depending on your distance from Oregon. Add to cart to check your shipping cost. West coat orders should arrive in 3 days, midwest in 4-5, and eastern in 5-6. 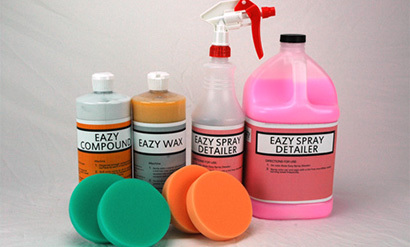 We do not ship the Auto Detailing Startup Package internationally. What else do I need to start my car detailing business? Wet/Dry vacuum ($89). Like this Rigid vacuum from Home Depot. 1500 psi electric pressure washer ($149). See this Campbell Hausfeld pressure washer unit at Home Depot. 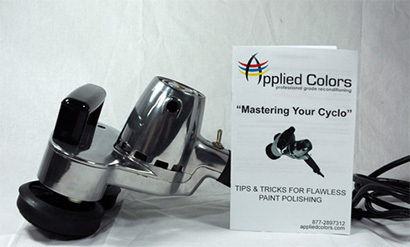 Why buy a detailing start up system from Applied Colors? We do not include any unnecessary products. Other, more expensive systems out there include chemicals and accessories that you will seldom use use. 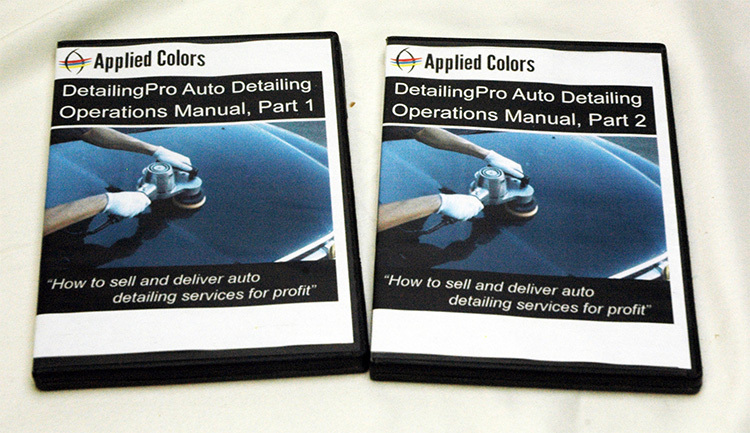 You're getting top-notch training: study how to make cars sparkle in the reading material, then watch how it is done in the videos. Success is guaranteed. You can invest with confidence because our startup package is backed by a 60 day money-back guarantee. How long until I'm in business? You can expect to study and practice for about 2 weeks until you're ready to start making money. Full time detailers can profit over $100,000 in a good market after a few years. Part-time, you can bring in an extra $500 – $3000 a month. I'm making money in just two weeks. Bob, I've been in business for two weeks now and have 7 contracts with local car lots and doing 2 full details a day. My contracts are producing $2500.00 this month alone, I can't thank you enough. Click the button below to add the DetailingPro: Auto Detailing Business Startup Kit to your wish list.